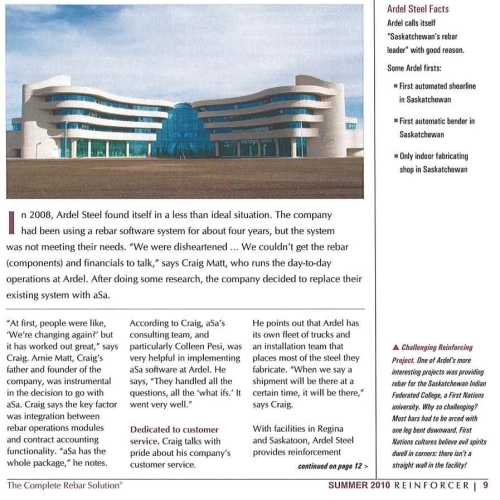 Ardel Steel is excited to announce that we are now partners with Salit Steel! Salit is a family owned, 5th generation, multi branch steel company that provides not only rebar and installation services like us, but they are also a service center, stainless steel rebar supplier, precast supplier and much more! Ardel Steel now produces and stocks engineer approved Welded Pile Cages for all types of construction (residential, commercial, industrial etc). Its good to be in Saskatchewan! After another exciting year in the rebar industry it has become obvious that in order to shorten lead times and get more deliveries out the door we need to expand! Thank you to all our customers for booking your steel in advance. We tried our best to stick to our promised delivery times and I sincerely hope we succeeded! You will see our facility expand by another 60' and an outdoor crane will be erected soon. This will help us work out the bottlenecks and keep that steel flowing! Congratulations and a big pat on the back to the team of volunteers who have now made a huge positive impact in the Strong families life! Ardel proudly provided the rebar for the house addition and driveway on this project. 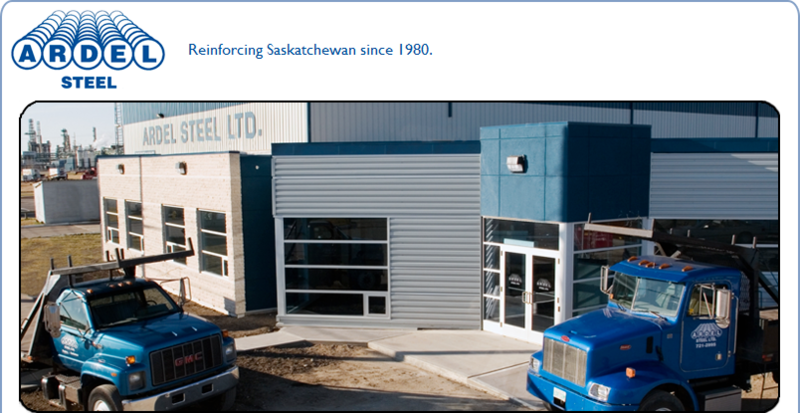 Yes, its true, we have been proudly supplying Saskatchewan for 30 years! It has been an honor being your supplier of choice during this time of unbelievable prosperity in our province. We look forward to many more years of being the best at what we do! Interesting tidbit, on this day in history 30 years ago - CNN started broadcasting for the first time. 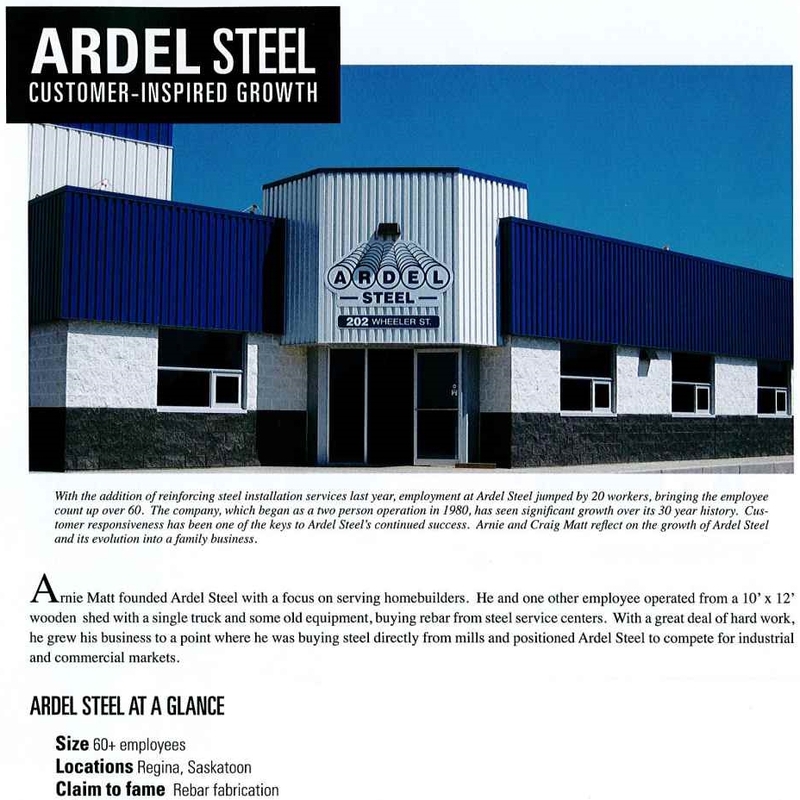 Ardel Steel is nominated for the Chamber of Commerce Customer Service Excellence Award. We are pleased and excited to be in the running for this fantastic award. Everyone keep your fingers crossed and join us at the awards ceremony! Construction of an indoor fabrication facility is well underway and slated to be operational by summer. Barry and his staff have worked hard to provide superior customer service from their 'cozy' facilities on 50th Street but in order to be the best at what we do a state of the art facility is necessary. Since the company was established in 1980 we have grown every year in some way. Some years it was staff, other it was equipment or services. This is another exciting step in the history and future of our company. The Town of Kipling and Ardel Steel teamed up to create the worlds largest paperclip which is now officially registered in the Guinness Book of World Records! 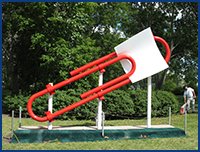 The red paper clip story had been heard by millions and the Town of Kipling wished to commemorate this unique story with a landmark – hence the biggest paperclip in the world! The paperclip is 4.6 meters or 15’2” long and weighs over 3200lbs. 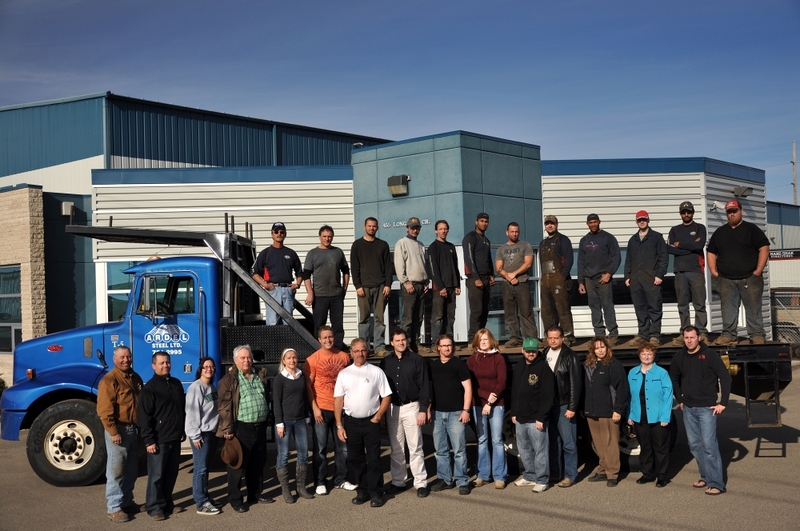 Ardel Steel Regina has won the Supplier of the Year award for the 2nd year in a row! Thank you to all our customers for voting for us, I hope we can repay you with continued service that helps you build!